This is the 5ml miniature version. La Fontaine de La Pouyade Cognac Grande Champagne is a unique cognac from this unique brand. Part of the Platevigne-Dubosquet family house, this is the only cognac produced - and what a cognac it is. Created purely from Grande Champagne eaux-de-vie, it's released in a strictly limited number of bottles. 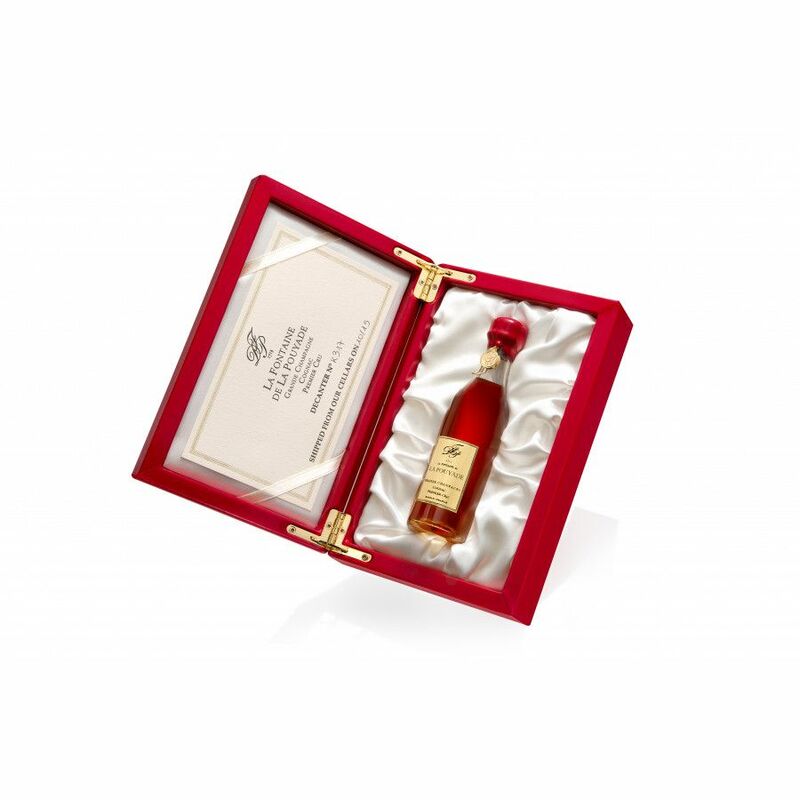 This is a miniature version of this exceptional cognac - an honour and a treasure to own. La Fontaine de La Pouyade Cognac is part of the Plantevigne-Dubospuet group and is run by a 14th generation member of the Dubosquet family. The whole 'raison d'etre' of this high-end house is to identify and produce exceptional lots of eaux-de-vie and offer them for Salem in limited editions and in exclusive bottles.